My guilty pleasure reads are reading The Babysitters’ Club by Ann Martin. There are hundreds of books in the series, I’m not sure how many exactly. It’s a teen series from the late 80s to early 2000s about a group of girls who babysit in their neighbourhood. I started reading them in my teenage years and I still collect them to this day. 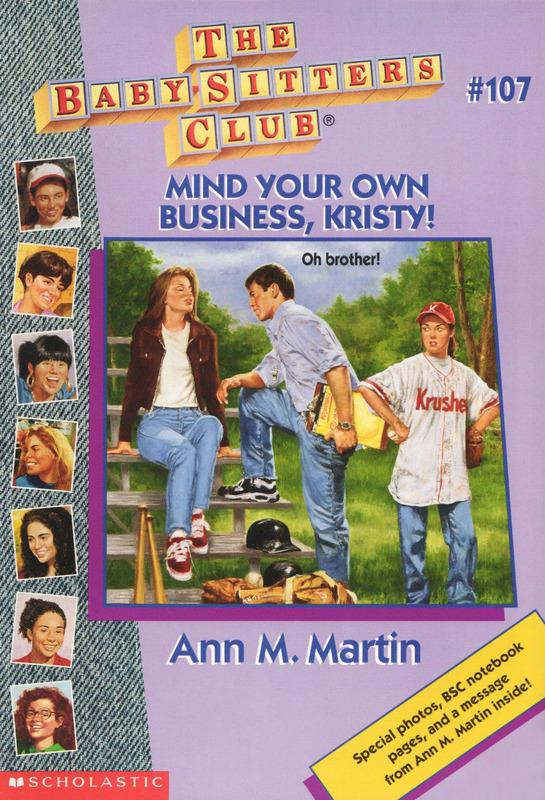 In this book, Kristy decides to host a softball clinic for her softball team, Kristy’s Krushers during spring break. The team consists of some of her babysitting charges who are too young to be in Little League. Kristy’s brother Charlie volunteers to help her out. Kristy becomes envious of Charlie because he’s able to coach the children better than her. Her relationship is further strained when Charlie gets into a relationship with a new girl named Angelica and begins to shirk his responsibilities with the clinic. Kristy feels that Angelica is wrong for her brother and does what she can to break them up. I wanted the story to go in a different direction than it did. Kristy took an instant dislike to Angelica without getting to know her. In every book, there’s some lesson that the reader can take away. I thought it was going to be that you shouldn’t be quick to judge other people. 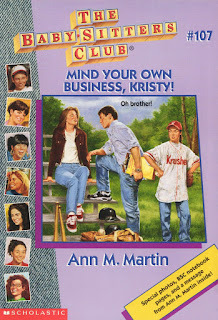 I thought that Kristy would learn to let her brother go and accept that he’s going to get into relationships. Kristy has abandonment issues after her father walked out on the family. It is a topic that is broached in this book. I could see that Angelica was going to be the villain because she’s seventeen and smokes. In a wholesome books series like The Babysitters’ Club it means you’re a bad kid. I don’t approve of young people smoking but I don’t think that smoking means you are bad person. I thought this book was a little bit more negative than the other books in the series but it’s obvious from the title. I find most of The Babysitters’ Clubs books in thrift stores, but you can now buy them new as they have reprinted them again in bookstores.